Veterans Day: We Support the Troops, But . . .
God bless Mack Brown, the former head football coach at the University of Texas. His sixteen-year tenure exuded victories on the field and classiness off it. He, by all appearances, treated players the right way; there won’t be any legit “tell all” books coming out anytime soon exposing a dark side of the Brown era. He shepherded a minority of his players on to the NFL, while maintaining during the last half of his tenure a 70 percent plus graduation rate – pretty good for a major college football program. Part CEO, PR master, and recruiting glad-hander – he eventually was done in by his own success. Longhorn partisans took umbrage at his 30-21 record during the final four years of his reign, and it was time for him to go. Since I live in Austin and pay some attention to football, I heard Mack Brown many years of his tenure proclaim – mostly during rushed twenty-second halftime interviews – “We support the troops,” “Thanks to the troops,” or “God bless the troops.” Yes, yes, and yes. Mack Brown wasn’t and isn’t the only football coach to say so, conveniently, during the weekend games on or around November 11. But, wait a minute. The troops and their plight deserve much more than passing or canned accolades as the coach runs to the locker room. Coach Brown no doubt meant what he said, but it was also part of the PR recruiting show intended for millions on national TV. How deeply do we support the troops? Numerous veterans hear “Thanks for your service” as the four quickest words of patronization, wondering if the ones uttering said gratitude have the remotest clue about the fragmented shards of a soldier’s soul that are ripped out and left for dead in a war zone. As a nation, we are undoubtedly guilty for the way we casually accept war and inadequately treat the PTSD many of the troops develop and bring home as result of combat situations. Pulitzer Prize-winning journalist David Wood calls attention to PTSD and something else he calls “moral injury” (originally coined by clinical psychiatrist Jonathan Shay working with Vietnam vets some twenty years ago). To be clear: Wood claims, in describing moral injury, that troops in battle have not necessarily committed a wrong. Moral injury “is a relatively new concept that seems to describe what many feel: a sense that their fundamental understanding of right and wrong has been violated, and the grief, numbness or guilt that often ensues.” Wood calls moral injury the signature wound that Afghanistan and Iraq veterans deal with – a “bruise on the soul” that has lasting impact on the individual and his or her family. Arlin Buyert’s poem Big Brother, dealing with a war two generations previous, poignantly describes some of the angst and brutal consequence of moral injury. to the courthouse in Orange City. a ditch that held him forever. Suicide, tragically, among military personnel (active duty and veterans) is near double the general population rate. Twenty military personnel per day take their own lives, according to 2014 data. Ray Rice, the former NFL running back, was initially given a slap on the wrist for slugging to unconsciousness his then fiancée (now wife) Janay Palmer; later he was both suspended and scapegoated by a league that cashes in on a level of violence, although regulated, raw and primitive. Colleges and universities with football programs have higher rates of sexual assault on campus than those without. Military institutions are plagued with misogyny and the mistreatment of women; both institutions are guilty of not taking proper care of all of their veterans (both use the same term for retired participants) – especially those injured in action. Both institutions target recruits that are young, able, and not yet risk-averse – the pre-frontal cortex in the human brain, inhibiting risk-taking, is not fully developed until the bearer of that young brain reaches twenty-five years of age. Of course we support the troops. Yet in gratitude for their sacrifice and service, perhaps it better we purse our lips, remembering that we have been endowed with two ears and only one mouth. Two ears to listen; two eyes with which to see and better understand the experiences of our fellow brothers and sisters. There are no easy answers. But there are experiences that instruct and inform. We need to pay better attention – Wood’s piece on moral injury is must reading. War has been around a lot longer than football. Whereas football is derived in part from war and its battle scenarios, we risk confusion when we look to football as being instructive or indicative of war. War is not like football, a bigger and badder version. To the contrary, war is burdened with much more gravitas, obviously, than football ever will be. We Americans invest a lot of time, effort, and energy into our teams following their travails and successes. The least we can do to respect the troops: put in just as much if not more time, energy, and effort learning about the realities of war, and how those who fight our wars are affected by them. it roused my youthful joy. it drummed shivers through my blood. I can sing no more. Buyert Books, 2014. Reprinted with permission. This blog post was originally published on this website November 18, 2014. Tim/T. Carlos Anderson – I’m a Protestant minister and Director of Community Development for Austin City Lutherans (ACL), an organization of fourteen ELCA (Evangelical Lutheran Church in America) congregations in Austin. I’m also the author of Just a Little Bit More: The Culture of Excess and the Fate of the Common Good (Blue Ocotillo/ACTA, 2014) and There is a Balm in Huntsville: A True Story of Tragedy and Restoration from the Heart of the Texas Prison System (Walnut Street Books, April 2019). America has more guns overall, and more guns per capita, than any other nation. Most estimates claim that Americans own as many guns as there are residents – 320 million. Other nations with higher percentages of gun ownership don’t come close to America’s dominating rate of 100 guns per 100 residents – Serbia rates at 75; Yemen (54) and Switzerland (46) are next closest. Neighbors Canada and Mexico are estimated, respectively, at rates of 30 and 15. US domestic arms sales have been robust since 2008, but concentrated among a smaller group of owners. Fewer American households today have guns (estimates range from 33-40 percent) than was the case in the early 1970s (50-55 percent). Rural life in America has always been associated with gun ownership; increasing urbanization helps explain the decreasing household gun ownership rate. In my book Just a Little Bit More I detail the rise of the current era of excess that began in 1980 – more profits for the owner class, greater debt for the working class, more polarization, more inequality. The National Rifle Association’s “all or nothing” quest, dating to the mid-1980s – defining any attempt at gun control legislation as an attack on the Second Amendment of the Bill of Rights – fits in the same category of excess. The NRA has a legitimate voice in our open democratic society, and can serve to help the society maintain a proper balance as concerns gun rights and restrictions. For many decades since its inception in the late nineteenth century, the NRA has served that purpose. It’s more than ironic, however, that the NRA’s generation-strong stranglehold on all congressional Republicans and some Democrats enables homegrown hate mongers – Omar Mateen, the latest – to slay fellow Americans with legally purchased assault-style rifles. There are numerous responsible gun owners in America who fully support the Second Amendment and don’t see the need for citizens to own AK-47s or AR-15s in order to protect themselves, their families, and their communities. More is not always better; the plethora of easily accessible weapons in the US simply means that these types of mass-shooting events will continue to occur. Some of these events will be thwarted, yes, by well-meaning and heroic gun owners. But the long list of mass shootings beginning with Columbine in 1999 won’t be ending any time soon – as long as this society allows for the status quo to continue. More than 30,000 Americans die yearly by gun violence; each day more than thirty die by homicide and more than fifty by suicide. Gunfire injures an additional 240 Americans per day. A colleague of mine recently commented that “America is a society addicted to violence.” Call of Duty, the best-selling war-based video game, is played by youngsters all across the US. Learning the art of war, unfortunately, is a necessity in our world of disagreements, disputes, and evil intentions. Perpetuating a culture desensitized to violence and killing, however, is not necessary. It’s a good thing when an armed American woman is able to protect herself from sexual and physical violence from a perpetrator. This current progress wasn’t a reality in previous generations. We’ve made progress in another area, lamentably: the ease by which we can kill one another. 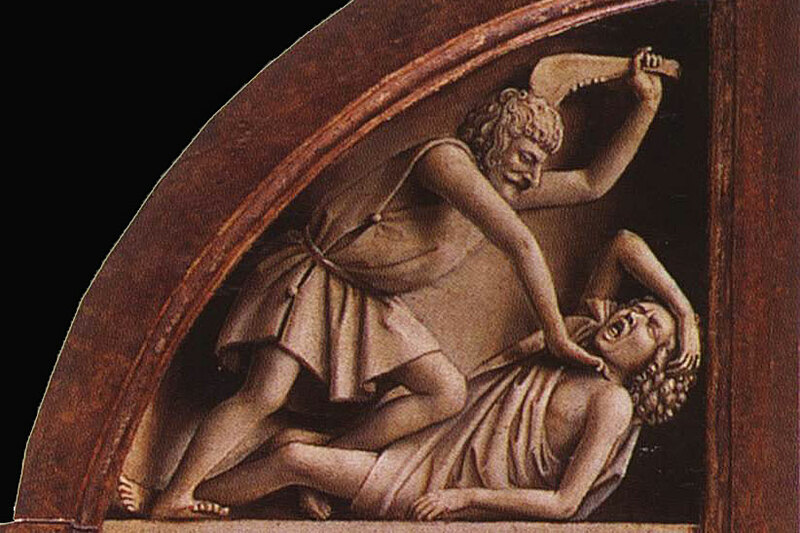 Fratricide is one of the first stories in the Bible – Cain killing his brother Abel. The prominent place given to the story speaks to its universality. Humans will continue to kill one another, acting upon the angst that lurks in our souls. Because of this ever-present angst, human community is a continuing challenge. Achieving and maintaining balance between self-protection, constitutional rights, and the question of who can possess firearms is the hard work of common good. There are no rights that are unlimited. That’s a modern reality in progressive, democratic societies – unlimited rights exist and existed in autocratic and monarchical societies. While politicians in Washington DC are mostly inactive and stymied on the intertwining issues of gun control and gun rights, progress moves forward in communities across the nation. Recent legislation for tighter gun controls in California, Washington, Oregon, Colorado, New Jersey, Maryland, and New York are giving evidence that the NRA is no longer the sole dominant voice in the gun debate at the public square of Gun Nation. The Spanish version of the Summary Version and Study Guide will be available in September 2016. ¡Que bueno! ¡El librito de JaLBM – llamado Solo un Poco Más – saldrá este Septiembre de 2016! Second article in a series . . . The great religious systems of the world – and many indigenous regional strains – weave a harmonious montage against greed and materialism. This blog post is the second in a series highlighting religious unity against the type of values seen in the dominant religion of the land: the confluence of commerce, materialism, and consumerism. The following is excerpted from the book, Just a Little Bit More: The Culture of Excess and the Fate of the Common Good, available in May 2014. 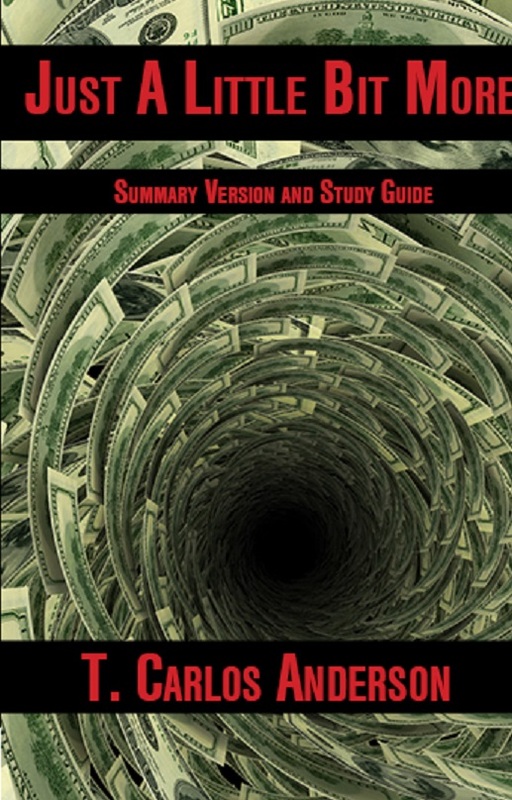 Judaism prohibited lending money for interest, called usury. The Hebrew Bible book of Deuteronomy disallowed lending for interest within the Israelite community; outside the community – with foreigners – it was permissible. Usury was prohibited within the community mostly so that the poor would not be exploited by those with money to lend. The financially well-to-do lending to poorer members within the community was seen as a form of philanthropy, ultimately supporting the communal common good. An interesting historical note: most all the competing religious systems and secular codes from the ancient Near East, from which Judaism emerged, did not forbid usury. Israel, a smallish community dwarfed by Egypt, Assyria, and Babylonia, forbade usury most likely to protect and unify a poor community that needed to do all it could to stay together and survive. Demanding interest on a loan to a neighbor was understood to be an act of hostility. The Hebrew word anawim, a plural noun translated “the poor” or “the marginalized,” can be understood to have an unexpected antonym: brutality, untamed anger, the violence of the rich. The expected antonym – the rich – is not specific enough; the actions of one group directly affect the state of another within the community. Their fates are united, for better and for worse. Addendum: “The violence of the rich” is obviously a provocative statement and blog post title. Let’s be clear: it’s not an indictment to be rich nor is it a sin to enjoy earthly blessings. Expensive items accessible only to a few of us – Mercedes-Benz automobiles, Beaufort Alpage cheese, Thos. Moser furniture – merit higher prices (mostly) due to superior quality and workmanship. High-caliber quality and exceptional workmanship make the world a better place and do not contribute to its demise. What does contribute to the world’s demise is the sense of disconnection that can exist between those who are rich and those who are poor. The religio-cultural system emanating from a small ancient Near East community accentuates the close connection between its richest and poorest members. The Hebrew prophet Micah excoriated the rich of Jerusalem for taking economic advantage of the city’s working class, calling their actions “violent” (Micah 6:12). This religious system still speaks an important word of caution to the well-to-do: be aware and active to temper the injustices suffered by the poor. To not do so is an act of indifference that can stray toward violence.